There is a time and a place for all kinds of financial products, from investments to loans. When it comes to borrowing you have a lot of choices. A traditional personal loan may have its place, and the kind of person who can benefit from one, but a tax anticipation loan is often a better option. Here are some important differences that you need to take into account as you plan on borrowing money this tax season.
. A Tax Anticipation Loan Can Get Your Refund to You Sooner. This year especially, following the partial shutdown of the federal government, a tax anticipation loan makes sense for many people. You may have a refund on the way, but it could take weeks or more than a month even, to get to you. IRS workers are getting caught up, but most refunds are expected to be delayed. With this loan you can get your refund cash sooner. And while a traditional personal loan can get you the money as well, a tax loan is specially designed to get you that money you’re owed, fast. Most personal loans will require that you have a certain minimum credit score before you can be approved to borrow. This limits who can get approved and who can actually get the cash they need. If your score isn’t great, you could easily be denied when applying for a more traditional loan. But, with a tax anticipation loan, you are judged more on your income and when you receive a paycheck than your credit history. If you work and earn you have a great chance of being approved. And your credit score won’t be a factor that gets you automatically rejected. For a traditional loan you need to go to a bank or similar institution, in person and during business hours, to get an application. Then you have to wait a while to get approved and to get your loan funded. With a tax anticipation loan you can get online and apply at your convenience, at any time of day or night, seven days a week. 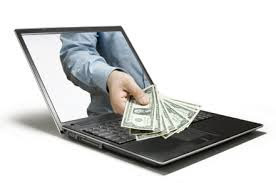 And, because the loan is offered online with money transfers to fund the loan, you get cash faster. With a tax anticipation loan you don’t have to borrow exactly what your refund amount is. You can choose how much you borrow, even if it’s only a few hundred dollars. 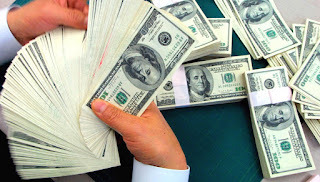 Traditional personal loans are more rigid with amounts and may offer you more than you can really afford or need. Borrowing too much is a financial burden, so stick with the lender who doesn’t get you into big debt. Get the convenient, fast loan that offers you refund cash sooner and that won’t nitpick over credit score, for the best way to borrow money. Can A Tax Anticipation Loan Help? 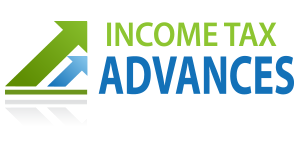 Your income tax refund would be the best way to pay for an unforeseen expenditure or car maintenance, but we know it doesn’t do you any good to wait on your refund from the IRS. Service companies and mechanics don’t allow payment plans and you don’t have to either! Use a tax anticipation loan to get your refund money faster this tax season. You don’t have to worry and wait for your refund to help make your situation better – a tax anticipation loan can turn your difficulties into your successes. There isn’t a person who wants to wait weeks and weeks or sometimes months to fix a home repair catastrophe, or to pay utility bills before cutoff, and tax anticipation loans allows you to take care of your obligations without waiting on the government to send you your tax refund. Tax anticipation loans were established to help you in enjoying life without the wait! The greatest part about tax anticipation loans is that it’s money you know you were going to spend anyways – you just don’t have to delay getting the cash you already earned and really need. It’s tiring watching your friends travel around the country, go out all the time, and live a privileged life all the time. Wouldn’t escaping to the beach during the winter months or going somewhere in nature be nice? With tax anticipation loans, you can afford to go on a trip before the government finally decides to send your income tax refund! Don’t wait on the IRS to send you your refund– submit your information online for a tax anticipation loan and go wherever you want whenever! Don’t wait any longer when you could use a tax anticipation loan to enjoy life like never before with your own hard-earned money faster this year! 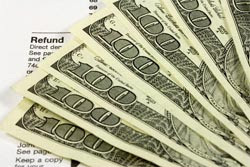 Don’t wait another minute for your tax refund this time. Treat yourself earlier to a much-needed vacation or even an expensive meal – using a tax anticipation loan. Take the reins of your finances, your contentment, and your life. Tax Anticipation Loans Are So Easy – See If You Qualify! While some individuals prefer to borrow cash from their bank, strict rules and extended requirements are becoming far too common in today’s monetary industry. Banks are progressively turning to big business and away from singular borrowers. It’s can be challenging to get approved for a loan if you have anything less than impeccable credit, and many banks require credit to even fill out your information for a loan. Moreover, applying for a individual loan through your bank can sometimes hurt your credit if they pull a credit report. You should stop the worrying and apply for an online tax anticipation loan! You could have money in your checking or savings account within a few hours and you don’t even have to leave your home with our easy online tax anticipation loans. Tax loans are here to help you get your refund faster. Don’t wait this time around. Get your funds with a tax anticipation loans now and never wait on your old bank or the government again.